In 2015, the Church celebrated the 50th anniversary of the publication of Nostra aetate. The Church called us to open into dialogue with non-Christian religious expressions. Some are concerned that Buddha, Jesus, and Allah are shown audio-visually to exist at the same level. You can understand the concern; however, the point is respect for others’ beliefs. It is important not to take these images of out their context. As a Catholic, I believe that Jesus is “the Way, the Truth and the Life,” I feel no need to impose my belief on others. I wish to announce the good news, but I am not afraid to open up to others, to their thinking, their beliefs. One who is sure of his convictions does not fear to be imposed upon, nor to wish to force his or her beliefs upon another. We know that the truth has its own strength,” said Pope Francis at a meeting of religious leaders in 2014. There is no relativism in the January video; each person represents a different religious tradition, which appears different at first, but each has the desire to share sincere dialogue. At the end of the video, everyone appears more beautiful. Not all have the same conception of love, who for us is revealed in its fullness in Jesus Christ, but that word used by all indicates the universal desire to walk together in love for humanity even though we are different. “Many think differently, feel differently, they seek God and find God in different ways. Someone told me: “I think the most important thing in this video is when the Pope says “we “,”we” (Christians) believe that this is true for everyone: we are children of God.” This belief is the true spirit of the Second Vatican Council. “Everyone who loves is born of God and knows God” (1 John 4: 7) for “God is Love.” This sense of universality does not hinder our belief that in Jesus the fullness of God’s love is revealed. This Christian use of “we” does not imply that a Buddhist or a Muslim sees God or Love in the same way Christians do. Pope Francis wants to promote a culture of encounter in which dialogue, plurality of thinking, and sense of community are the pillars that sustain humanity. The challenge of humanity that he asks us to pray for each month is a way to unite men and women around the world from different cultures, languages ​​and religions that we might pray together for the needs of all humanity. ADDRESS OF HIS HOLINESS POPE FRANCIS TO PARTICIPANTS IN THE MEETING SPONSORED BY THE PONTIFICAL INSTITUTE FOR ARABIC AND ISLAMIC STUDIES, ON THE 50th ANNIVERSARY OF ITS ESTABLISHMENT IN ROME Clementine Hall, Saturday, 24 January 2015. Note: Third and fourth paragraphs. This entry was published on 22 January, 2016 / Patrizia. Posted in Resources. Bookmark the permalink. 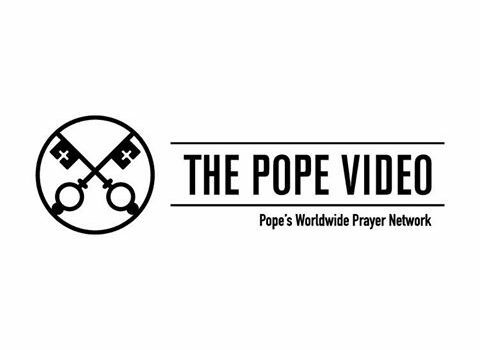 In the video launched January 6, 2016, an initiative of the Apostleship of Prayer, Pope Francis shared his universal prayer intention for dialogue between men and women of different religions.